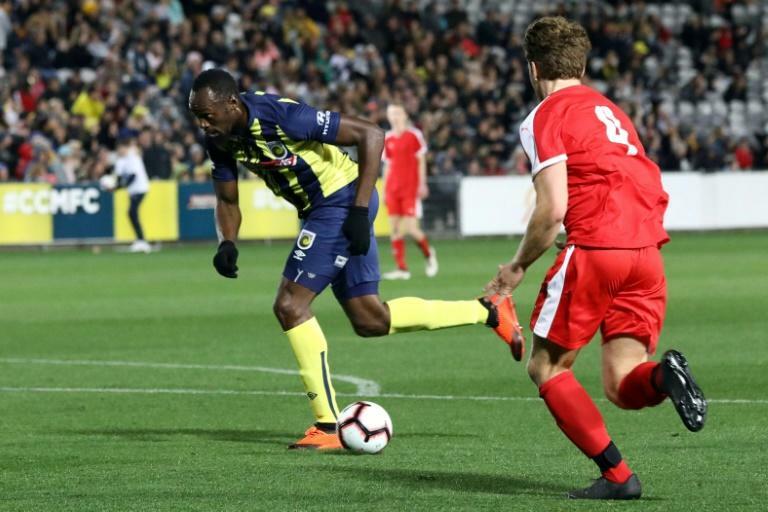 Sprint king Usain Bolt fulfilled a boyhood dream Friday in making his much-anticipated football debut, exciting fans but tiring quickly in a 20-minute cameo for Australia's Central Coast Mariners. His arrival has generated a massive buzz at the club's base in Gosford, 75 kilometres (47 miles) north of Sydney, and some 10,000 people packed the Central Coast Stadium -- a virtually unprecedented turnout for a pre-season game. It wasn't quite Old Trafford but there was a lively atmosphere with a brass band on hand to get the crowd going. 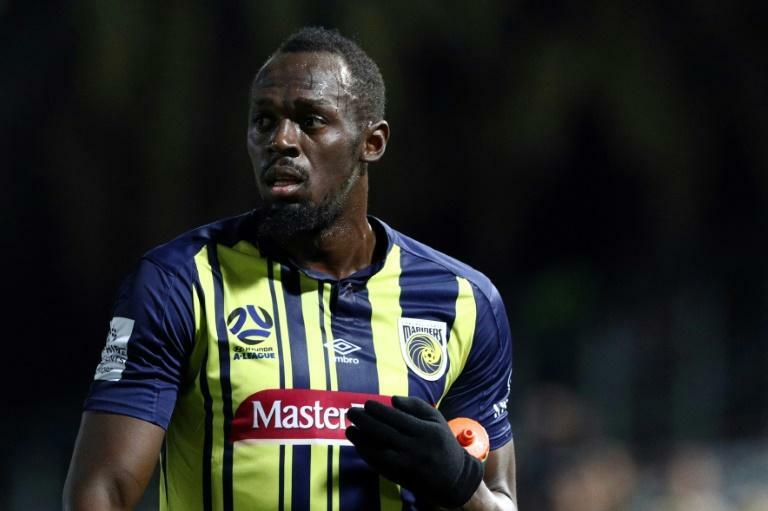 "It's a wonderful moment to play at a high level, in professional football," Bolt said after the Mariners beat an amateur side 6-1. "It was good, it was what I expected. The crowd gave me a big ovation which I really appreciated. I was a little bit nervous but as soon as I got on the field the nerves went." He didn't have long to wait to celebrate with his team getting on the scoresheet barely 20 seconds after kick off thanks to a sweet strike by Jack Clisby from the edge of the box. They were 5-0 up at a half-time and a massacre seemed imminent, but the part-timers battled hard in the second half. The eight-time Olympic champion wore gloves and appeared relaxed, despite his nerves, as he followed the match intently. On a chilly night, he stayed warm on the sidelines by stretching and jogging with the 32-year-old happily giving the thumbs up and high-fives to fans. Starting on the left wing, he fluffed his first touch, making a run on the inside only for the through ball to hit him on the heel. He got himself in the box soon after but a cross whipped in from the left went over his head. Playing more centrally he didn't getting much of a look in, jumping for another cross that again sailed high. "I wish I had more touches but I'm not fit yet," he said. "I've just got to put in the work, get up to speed and I'm looking forward to a great season." Former Australian international Robbie Slater, who was watching the game, said he still had plenty of work to do. "He was short of a gallop when it comes to match fitness," he said. "He made some nice little runs, but obviously he needs to learn some more about when he should make the runs and where. He should also have more confidence to go and get the ball. "But look, it's a special moment for him."